I will be back soon, after one and half years. I have so much to tell! See you soon. @Stephanie: Thanks, see you soon! Hey UG - hope you are well. My goodness, has it been one and a half years! Time flies. Thanks for taking the time to browse my blog. Please feel free to leave me a comment or drop a line. See you around. This is a space dedicated to gardens, mostly the small space and urban ones. Many ideas, inspirations to keep the green around us. Enjoy reading! Among other things, I am a recreational gardener based in Delhi. I’ve lived my childhood in a small town, large spaces surrounded with green and grown up seeing my father’s passion for gardening. All who visited us had great things to say about our garden while my dad would beam with joy at those reviews. All conversations at home circled around plants while dad would speak with conscious pride. Back then, I never really understood his motivations, the manic hours he spent gardening, until I moved to Delhi and found myself space-strapped. Living in Delhi today, made me yearn for a patch of green in my house, and that’s where the gene popped up. I must mention my husband here who’s has been more than a participant, prodding me all along. He’s more creative and gentle than I am while I oscillate between brutal and gentle ways of cultivation. What started out with a few odd container plants has become a garden welling over with herbs and shrubs, and some trees too. 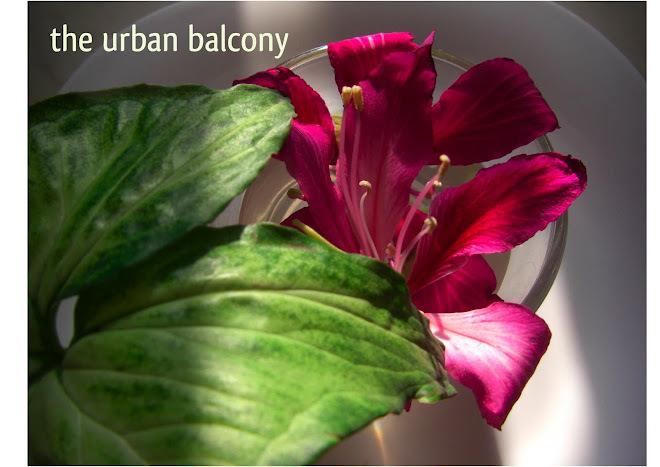 Here, as the ‘the urban gardener‘, I’ll share my experiences, tips and tricks I’ve known or practised to help you with the challenges of furnishing an urban garden.